CNN focused on the question of the authenticity of the controversial "Shroud of Turin," in the first episode of its new pre-Easter series "Finding Jesus." Those challenging the authenticity of this ancient relic point to carbon dating tests done at three independent labs in 1988 that dated samples of its cloth to AD 1260-1390, which coincides with the first appearance of the shroud in France in the 1350s. Believers in the shroud's authenticity have questioned the authenticity of the tests. 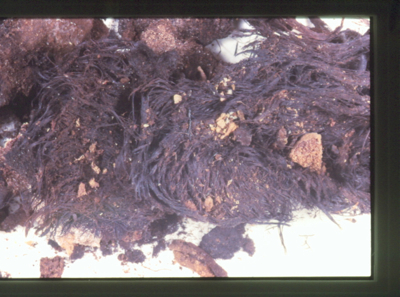 What many do not know is that we do in fact have an unquestionably authentic burial shroud from a tomb in Jerusalem that has been carbon dated to the 1st century. Any consideration of the "Shroud of Turin" should begin with a comparison of what we know rather than what we might want to believe. How this shroud was discovered, tested, analyzed, and with what results is a fascinating chapter in the history of recent Jerusalem archaeology in which I was privileged to play a small but "accidental" part. Many of the most interesting archaeological discoveries are accidental. There seems to be an unwritten axiom, those who seek never find, and those who find were not seeking. It was June 14, 2000. Archaeologist Shimon Gibson and I were hiking just south of the Old City with five of our students, showing them some of the abandoned 1st century tombs of that area. We suddenly and unexpectedly came upon a freshly robbed entrance to one of the many 1st century tombs that are in that area--many of them still sealed. We could see broken ossuaries, scattered bones, and displaced soil where the invaders had removed the blocking stone to the tomb and tunneled inside. The rest is now history. This amazing three-level tomb, cut into bedrock, contained in a lower niche or kokh, the partially preserved skeletal remains of a male with a badly deteriorated cloth burial shroud still visible! We could hardly believe our eyes. We had the cloth dated at the University of Arizona C-14 lab. Douglas Donahue, the same scholar who tested the Shroud of Turin, dated our cloth--it came out 1st century CE. Although 1st century cloth has been found at Masada and in caves in the Judean Desert, nothing of this sort had ever been found in Jerusalem. Apparently that niche, sealed with a blocking stone, had a geological fissure that kept water from seeping in and rotting the material. The tomb had any number of interesting features. DNA studies were done on all the individuals represented in the tomb--the first time, so far as we know, that this had even been done in an ancient Jerusalem tomb of this period. Textile analysis was done on the cloth--it turned out to be a mixture of linen and wool, not woven together but layered with a separate head piece. It had a distinctive 1st century weave--in contrast to the Shroud of Turin. Perhaps the most surprising find was that our shrouded individual, a male, had Hanson's disease--leprosy--the 1st documented case from the ancient world in this region, see more on this aspect of the discovery here. In 2009 a complete scientific study of the tomb appeared in the on-line journal PLoS One, and is available for download here. The Tomb of the Shroud continues to offer more surprises. 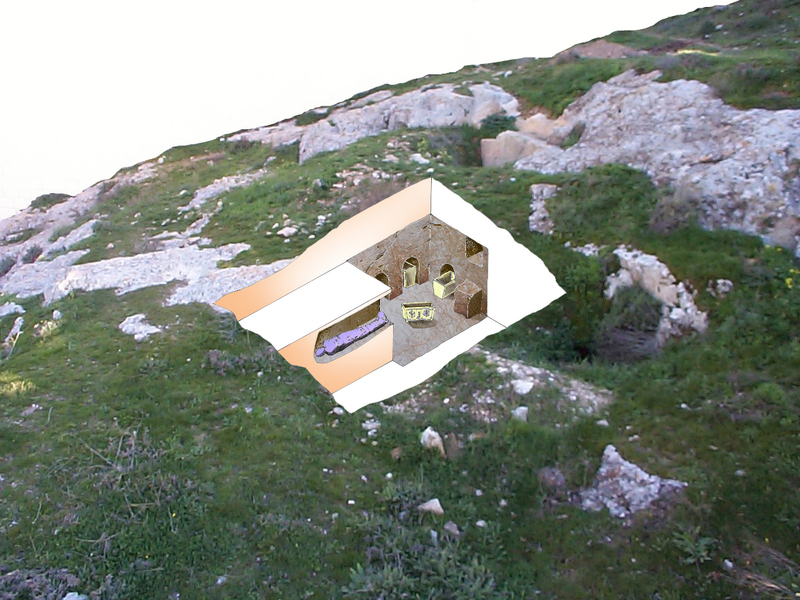 We recently noticed that the mitDNA tests of two of the individuals in this tomb match the polymorphisms of two individuals in the Jesus family tomb--namely skeletal materials taken from both the Yeshua and the Mariamene ossuaries. What the implications of this might be, and whether there is any possible relationship between these two families, remains to be explored.